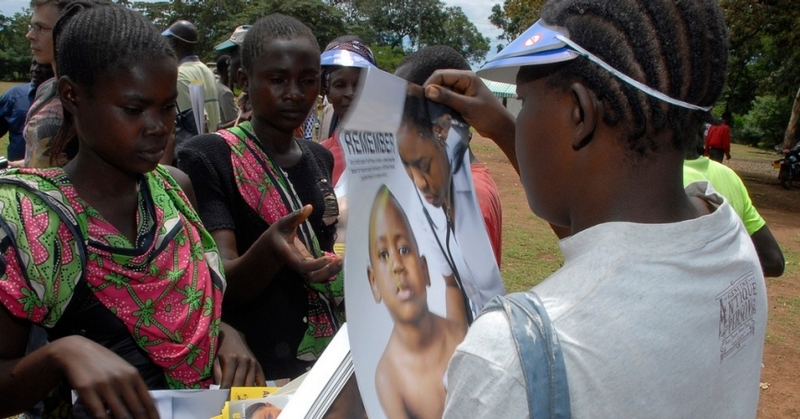 In Sub-Saharan Africa, illness and death from malaria remain harsh realities. While the psychological and social consequences are keenly felt by those living in countries where the malady is most endemic, the economic implications are less well understood. Our ongoing work on malaria shows that tackling the illness in this region will not only have positive effects for the economy as a whole, but possibly also a redistributive effect—slowing down the rising income inequality in Sub-Saharan Africa. As people across the globe mark World Malaria Day 2013 on April 25, the economics of the disease should be part of the discussion. When spending money on malaria reduction for children, it is, from an economic perspective, a long-term investment. Whilst the effects of increasing the use of bed nets or other preventative interventions on public health are immediately visible, it will take decades before we can observe a visible impact on the economy. Malaria reaches far into the economic base of a country by impairing individuals' cognitive abilities, reducing children's days at school because they're sick, and reducing adults' days at work—not just because they are ill but because they stay home to take care of sick children. An influential study estimated that malaria eradication in Sub-Saharan Africa could permanently raise its annual per-capita growth by as much as 2.6% a year. However, these types of regression studies only provide a partial, disparate view of the relationship between health and economic growth. We need a bigger, more dynamic picture to understand the economic implications of malaria. Better understanding of how malaria reduction affects different households, regions, and economic sectors could allow policymakers to assess alternative intervention strategies and allocate resources more efficiently and effectively. With this aim in mind and with funding from GlaxoSmithKline Biologicals SA, we built a dynamic computable general equilibrium (DCGE) model. That's a mouthful, but it's essentially a way to take into account the interrelated aspects of an economy, such as multiple sectors (e.g. agriculture, services, and manufacturing) as well as multiple players (i.e. agents, such as households and firms)—all deciding which and how many goods and services to buy and sell. Whereas previous research provided aggregated, broad estimates, we are able to show which specific groups and regions in the population benefit most. We are seeing that benefits vary by region because of differences in labour resources, preferences, and malaria prevalence. One of the most interesting findings is that we observe diminishing returns to malaria prevention. The labour markets in these countries may not all be able to accommodate additional scores of healthy workers efficiently. This might suggest that when investing in a healthy (future) workforce, it is also important to focus on how to develop the types of skills that are needed in these quickly developing economies. Priscillia Hunt is an economist at the nonprofit, nonpartisan RAND Corporation, Stijn Hoorens is associate director at RAND Europe, and Erez Yerushalmi is a research fellow at Institute for Employment Research (IER), Warwick University.